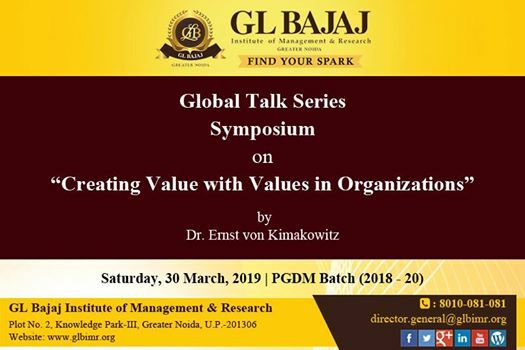 GLBIMR is organizing a Symposium on “Creating value with Values in Organizations” under the Global Talk Series on March 30, 2019 by Dr. Ernst von Kimakowitz, Lecturer in Leadership Skills at the University of St. Gallen, Switzerland and is a Director and co-founder of the Humanistic Management Center, Switzerland. 1. 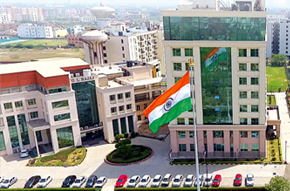 To provide unique learning international exposure to acquire a competitive edge to learn from a globally renowned academician of repute. 2 To gain detailed understanding of how Value Creation is the Foundation for any Business Sustainability and how Value Creation helps in Improving Organizational Performance.